This was a fun lesson to research. I am really enjoying the Joseph Smith Papers videos and finding they are very helpful in setting the stage for my class. Since they are older and I have more time per lesson, we are able to get into some really interesting history details. I was interested to know that sections 121-3 are all from a 29 page letter Joseph Smith wrote while in Liberty Jail. You learn something new every day (or at least you do on a good day). For this class, I wrote over three pages of notes from the videos to help me stay on track and to help students follow what was happening during this Liberty Jail period. I don’t usually include notes like these, but I think I will today. While I was talking I used the map at right to show locations we were discussing. 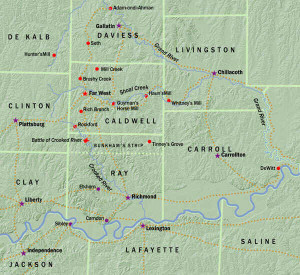 Mormon Missouri War 1838 – Click to go to the source of this image. Rhetoric is heating up. Mormons are sick and tired of being bullied by the Missourians. They begin public trash talking. Extra church groups (the Danites) form. The salt sermon. Dissenters leave and talk trash to Missourians and surrounding areas. The “Mormon war” begins on August 6, 1838 when a group of Mormons tries to vote in Gallatin, Missouri. About 200 people together to keep warm it’s from voting. A fight broke out. Mormons, about 30 of them, drove off their opponents. Stories of casualties were exaggerated – no one was killed or hurt much, but Missourians swore to kill Mormons. After this a group of about 100 or so armed Mormons, including Joseph Smith, went to visit some local leading citizens to get them to sign papers that they would not join with vigilante mops. It didn’t go over well. It was seen as a threat. In another area of Missouri — the small town of Dewitt — another vote was held also on August 6. The citizens of that area one of the Mormons out. The past. I look a militia was formed to expel the Mormons who refused to leave homes they had legally purchased (again, I might add). The city was the siege by Melissa. Joseph Smith came to see the situation and recommended surrender. The citizens did and moved to Adam ondi Ahman in October. About this time a group of Mormons decided to retaliate. They went to Davis County and begin burning and plundering homes and businesses, expelling Missourians, who went to neighboring counties and reported the abuses. Women and children – Mormon and Missourian – died because of exposure or premature childbirth as a result of the expulsion and stress. Missourians formed more vigilante bands and began retaliating more. Expelled Mormons went to Adam ondi Ahman which became like a refugee camp. Rumors reached Far West that a group of saints of been taken prisoner, and a group was organized to rescue them. At the ensuing skirmish, the Battle of Crooked River, Mormons won, but they took heavy casualties because of their exposed attack. David Patton, president of the quorum of the 12, died from injuries received here. Now, at this battle, it got real. The army the saints fought was the state militia – this meant war, treason, rebellion. Rumors flu exaggerating the casualties suffered by the state militia. Local leaders, the moderate, urged more troops be sent to prevent further violence. In response, Missouri Governor Boggs issued the famed “extermination order” demanding all Mormons be driven from the state on October 27. On October 29 was the Haun’s Mill massacre. Haun’s Mill was a little settlement that had no involvement whatever in the fighting. Missourians who had been driven from their homes attacked this little settlement in retaliation. 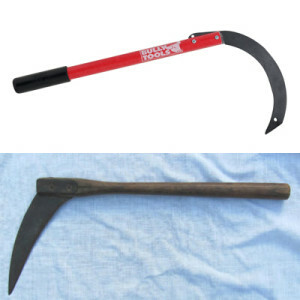 The Mormons at Haun’s Mill tried to parlay for peace, but when Mormon Thomas McBride turned over his weapons to the Missourians to surrender, his own gun was turned on him and his body mangled with a corn knife while he was yet alive. The men tried to protect the city and took refuge in a blacksmith shop with wide gaps in the walls. The Missouri and surrounded it and killed all of the men and boys inside. 110-year-old boy was hiding, and was killed on the pretense that he grow up to be a Mormon and it was better to kill him now. The Hauns Mill massacre, by the way, was not related to the extermination order, but it shows that things were getting very dangerous in Missouri. Joseph Smith surrenders to General Atchison, October 1838. The gathered state militia surrounded Far West and Adam Ondi Ahman. Joseph Smith and leaders, seeking peace, decided to surrender. They went over to the Missouri side to work out terms and were promptly arrested. At 8 AM the next morning, the imprisoned Joseph Smith went to Far West to surrender. The Saints were required to give up their arms and sell property to pay for the war. Cities were plundered as troops forcibly search people and property for weapons. That might, Joseph Smith and others were tried by military court and found guilty of treason. They were sentenced to be executed the next morning. The man directed to perform the execution, Alexander Doniphan, refused. He said that the men were citizens, not military, and they could not be tried by military court. He threatened to bring up the men on charges if they kill Joseph Smith and the other Mormon leaders. Doniphan’s argument worked, and the men were held over for a civil trial. They were given a short period of time to go and get their personal effects. Doctrine and Covenants 122:6 recalls the scene. 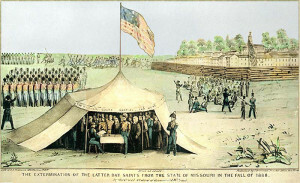 During this time, the Saints moved from Missouri to Quincy, Illinois, where they were treated kindly. The move was made during the winter of 1838-1839 with few supplies and was very difficult. The imprisoned men were soon transferred to Liberty Jail where they stayed from early December to April 16, 1839. These are the circumstances under which Joseph and Company are suffering with the letter from which doctrine of covenants 121 to 123 are taken. It was interesting to note the despair in the D&C 121-123 which dated March 20, 1839, and note that Joseph is set free/escaped/bribed guards during a prison transfer on April 16, 1839, just 28 days later. Why do you think the Lord didn’t tell Joseph the date he would be set free? Read vv 1-6 aloud. Watch for questions and please the Prophet had for the Lord — which can you relate to? Who do you know who has endured a trial well? What’s the difference between enduring a trial and enduring it well? I skipped the things I had planned here in the interest of time, because I thought the following information on priesthood was more important. I used the lamp object lesson from the manual because I thought it was so good. 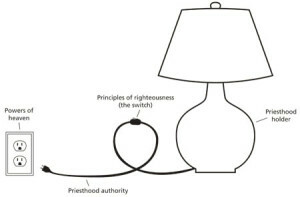 Before class you make labels that read “priesthood holder”, “principles of righteousness”, “priesthood authority”, and “powers of heaven” with which to label the lamp. Begin this portion of the lesson by explaining that students should think of the lamp as a priesthood holder and label the lamp. Be sure the lamp is turned OFF before class begins. Priesthood Lamp Object Lesson – Click this image to see the source of the object lesson. Read v 34 and this quote:“We are called when hands are laid upon our heads and we are given the priesthood, but we are not chosen until we have demonstrated to God our righteousness, our faithfulness, and our commitment” (James E Faust, “Called and Chosen,” Ensign or Liahona, Nov. 2005, 55). Read vv 35-6 – Look for something every priesthood holder must learn. What is it? v 36 – electricity represents which phrase in our demonstration? Which of the phrases from our list might the switch be compared to? How is living righteously like turning on a lamp? Who is benefited by light? What is the source of power? What happens to the connection a priesthood holder to the powers of heaven who does not live righteously? What happens if an ordinance is performed by a priesthood holder who is not living righteously? This was a really great object lesson. A few of my students had experiences where an unworthy priesthood holder had performed an ordinance, and they shared their experiences and the things they learned. This was a really great lesson.